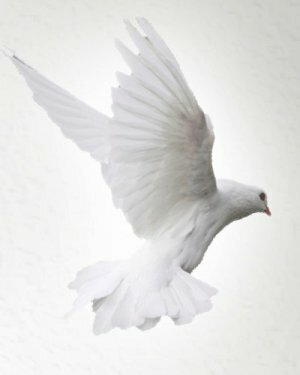 Obituary for Marleen C. Franklin | DeMarco-Stone Funeral Home Inc.
Marleen Carol Franklin 54 passed away March 27, 2019 after a long illness. Born October 27, 1964 in Schenectady to Aileen M. (Oeser) and Lewis Franklin. Marleen attended Schenectady Schools, Graduating from Mont Pleasant High School where she earned a letter in track. She also graduated from Royal Barber and Beauty School’s Nail Tech program. She also attended the New School of Contemporary Radio in Albany. Marleen worked in several retail stores including 16 Plus, K Mart and Price Chopper, retiring from the workforce due to declining health. Marleen had a love for music and loved to sing. She was a loving and caring Mother, Grandmother, Aunt, and friend. 8 Grandchildren: Selena, Christopher, McKinley Terry; Xavier, Mason, Noah, Isabella and Gabriella Tucker all of Guilderland, NY. She is also survived by her Brother Lewis M Franklin (Deborah) of Colonie. Marleen is also survived by her ex-husband and best friend Dale L Tucker of Schenectady and his entire family who loved and cared for Marleen. Marleen is predeceased by her parents, Sisters Katherine Franklin, and Vicki A Franklin-Garcia. Marleen was an organ and tissue donor and will go on to help many other people thanks to her thoughtfulness. The family would like to thank the Doctors and Agencies who have assisted with Marleen’s care over the years. Jane Neugent, Mohawk Opportunities, Act Team, her PCA Dawn Odell. We would also like to thank the Drs and nurses at Columbia Memorial Hospital for all their efforts and gentle care they provided. Calling hours will be held on Monday from 11:30 to 1 pm at the DeMarco-Stone Funeral Home, 1605 Helderberg Ave.
A time of sharing and remembrance will begin at 1 pm at the funeral home. Burial will be at Parkview Cemetery. The family will be hosting a celebration of Marleen’s life and Repass on Saturday, April 27, 2019 at the Tucker family home beginning at 1 pm.